An alternative way of providing public services in the wake of the most savage council spending cuts in Birmingham’s history was explored at a conference on Saturday (March 19). The Co-operative Council – The Future of Public Service Delivery helped public sector workers explore ways in which they could set up co-operative businesses to deliver services. It is estimated that 2,500 staff will lose their jobs as the city council seeks to slash £212 million from its budget. But in December the government announced its Right to Provide initiative, which means public sector employers are expected to accept reasonable proposals from front line staff who want to take over and run their services as mutual organisations, like co-operatives. The government wants to see one million people working in ‘public sector co-operatives’ by 2015. 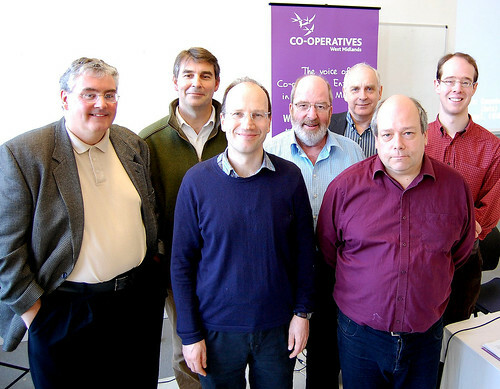 The conference, organised by the Chamberlain Forum and Co-operatives West Midlands and held at The Bordesley Centre, was addressed by Ed Mayo, secretary general of Co-operatives UK, the national trade body for the co-operative movement. “We know that the co-operative model can work in delivering public services,” said Ed, whilst acknowledging that it was a “huge ask” of workers to leave the public sector and set up a co-operative to deliver public services. But the alternative, the conference was told, was for services to be enveloped by private sector providers running services for a profit. Delegates heard from Laurie Gregory, founder of The Foster Care Co-operative, which has been successfully delivering social care since 1999. The co-operative now cares for 150 children from 45 local authorities, has 250 carers and 50 members of staff on its books, and has a turnover of £5.3 million. He told the conference that he set up a co-operative because he was opposed to social care being run as a for-profit business. “It creates conflicts of interests in the standards of care offered to vulnerable people,” he said. “Some major agencies in child care are venture capital funded, and those venture capitalists are not there because they like children. There is real pressure to fill beds and cut costs. Delegates included public sector workers from councils and health services whose departments had been earmarked for ‘externalising’ from the public sector, or who wanted to exercise their Right to Provide.